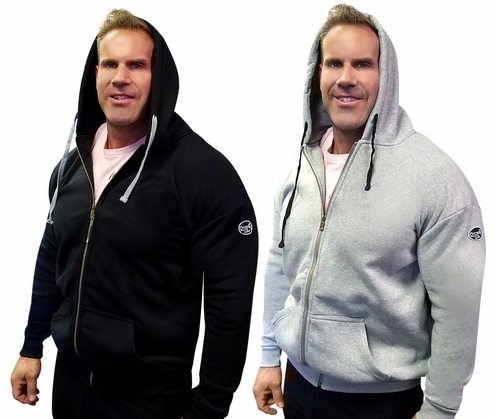 Otomix line of hoodies and jackets has a new player - introducing our Fleece Jogger Hoodie. Made of a soft and comfortable Cotton/Polyester fleece. So comfortable... you will never want to take it off! Every hoodie includes an industrial strength zipper, pull cord and kangaroo pockets. They are designed to fit an athletic figure with the comfort you desire. WE ARE SOLD OUT OF SMALL 575 BLACK/GREY - HOWEVER, WE DO HAVE SMALL 575OTO BLACK/GREY - WITH OUR SMALL LOGO. These hoodies are the perfect with the matching Jogger Pant, #545.